I managed to capture a very special moment tonight and as I watched it over and over, I realized that this needs to be shared. My Nonna (Nonna Bis to my kids) had a very special bond with Bella that is rare. She saw Bella every single day and was as broken as I was when she left the physical world. That spark that lit up whenever she saw Bella went up in smoke almost 2 years ago and Nonna hasn’t been the same since. None of us have been the same, but it was magnified for Nonna. I thought I would never see that spark again. Aria has been a fussy baby but has made many changes this past week and tonight Nonna was finally able to hold her without her fussing. Aria was very happy to see her Nonna Bis, and Nonna’s reaction is priceless. Her spark is back!!! Tonight I am grateful to have witnessed this and I am sharing this to provide hope to others coping with loss. That hole in your heart will never fully heal but it doesn’t mean the light won’t find a way in. There are better days ahead. I have mastered putting grief in a box and leaving it on the shelf. Time has taught me that dust never settles on this box as the lid opens itself at unexpected times and let’s bits of grief escape. It’s when these broken pieces begin to show up unannounced that I realize my priorities need to shift. Grief won’t subside until you give it the attention it demands. It never fully leaves as it resides within you, but over time the pressure builds and it’s important to relieve it before the pressure is too great. Tonight, I made grief my priority. In doing this, I realized my pain is much more complex this time. Postpartum hormones are still in effect, but having another daughter to love and care for creates complexity I was unable to prepare for yet fully expected. My emotions aside, caring for a new baby changes everything in your life and you are no longer a priority! This video was shared with my today and it reminded me to make myself a priority for a short while. When our cup is empty, we have nothing left to give others, but my cup was full of grief. It will take time to empty this cup of the darkness before I can fill it with light, but the process has begun. Sometimes challenging times offer welcome distractions. 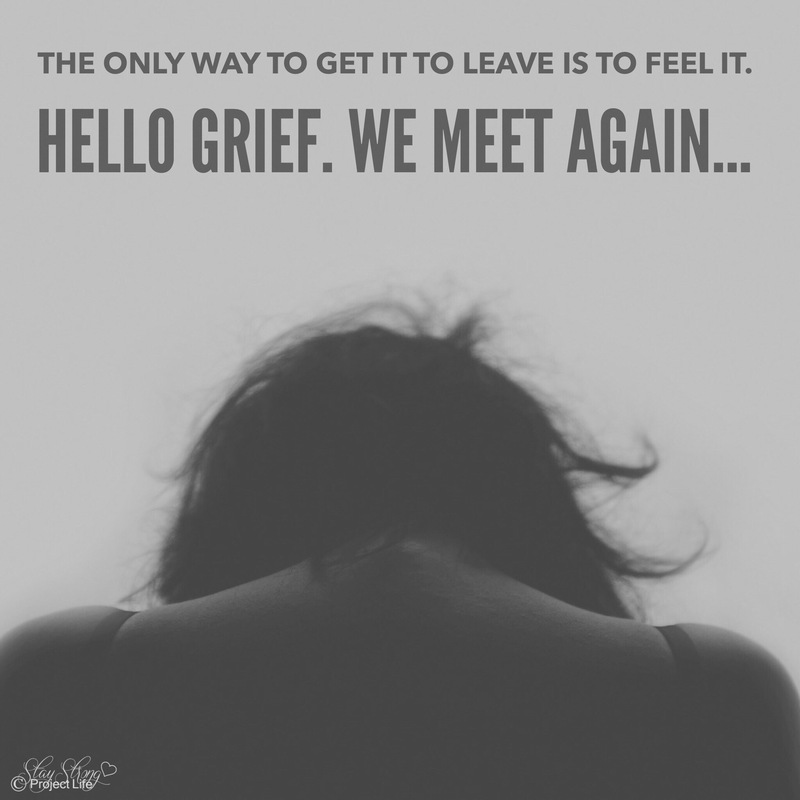 It doesn’t change anything but rather postpones the inevitability of grief. 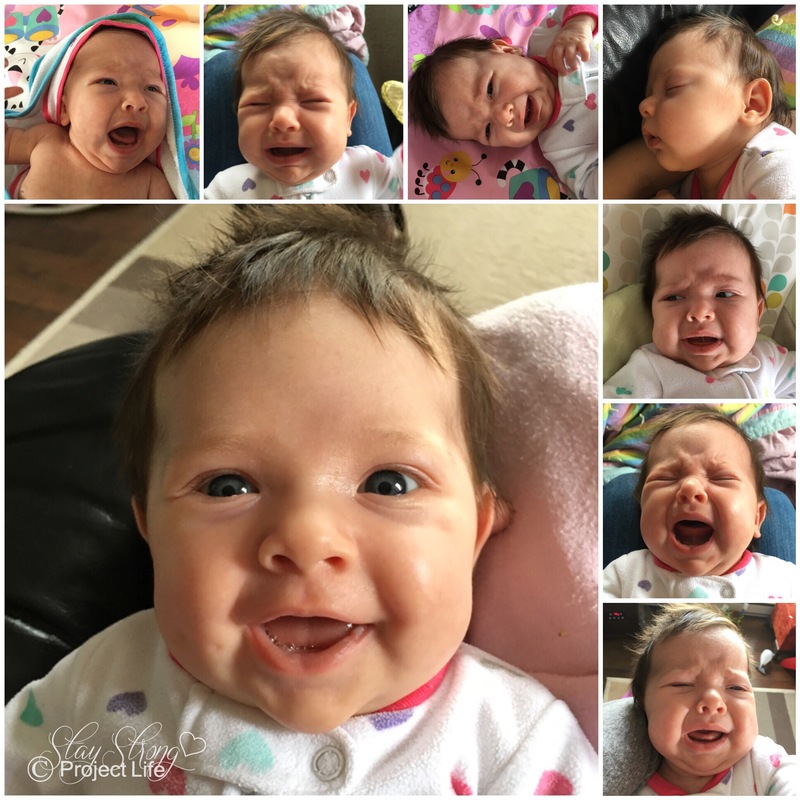 You have to feel pain in order to get past it, but my pain remains ignored once again as I focus on my health and the wellbeing of my baby girl. Sickness has taken over but we are finally overcoming it. Today is Mother’s Day, which I have been dreading all week. 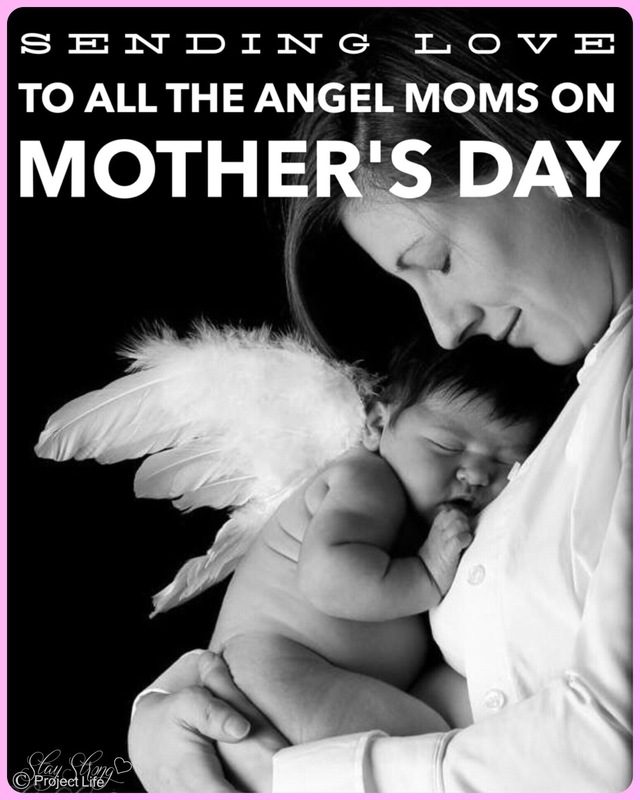 The pain of child loss is present ever day of the year, but Mother’s Day adds salt to the wound. Today, the constant reminder is before my eyes that Bella isn’t here with me. I am a mother of 3 but will only see two of my babies today. I’m aching inside. It doesn’t happen overnight. It creeps up slowly and then at your weakest moment it grabs a hold of you and rips your breath out of your lungs leaving you empty. The monster enjoys watching me struggle. I’m sleep deprived. My mind is foggy and I struggle to put my thoughts into words. I try to explain how I feel but I can’t make sense of it. How can I expect others to understand when I don’t understand it myself? The monster leaves me feeling alone and isolated. It blocks reality and my perception becomes one of abandon. I’m standing in the middle of the road naked during a thunderstorm with nothing to protect me. No one knows that I’m breaking again. I hide behind my strength so well that even my best friend doesn’t see behind this mask. My raw soul bleeds once more as I fight to run away from the monster within. I call it by name but by the time I become aware of its presence, it’s too late to hide. It’s back and it hits me full force. Yet by now I know all too well that the only way to get it to leave is to feel it. At the follow-up visit, she asked me how I was coping with what happened as it was a rather traumatic experience. I replied, “it wasn’t ideal but Aria is fine and I’m still here. It could have been much worse. After what I’ve been through, everything else seems so small in comparison.” Child loss changes your perspective on everything. The weeks before Aria’s birth, I was feeling pressure to make sure my family members could be with us when she was born. You can’t fully plan for events like this and we had a series of backup plans, but nothing worked out as we hoped. My middle sister was visiting for a week, but I was still pregnant when she left. My grandmother wanted to be there, which I was so excited about, but she decided not to come at the last minute (which I was very thankful for in hindsight). My oldest sister and my niece live close to us and were on their way to the hospital while I was in labour. Once labour started, things progressed very quickly. They walked in 4 minutes after Aria made her grand entrance. Thankfully I have Aria’s arrival on video and our entire family got to see our baby’s birth. The water birth exceeded my expectations, although I was only in the pool for 8 minutes before Aria was born. The water didn’t make the contractions less painful but I was able to relax between them, which allowed me to be fully present. (I highly recommend a water birth!) Shortly after Aria was born, I was helped out of the pool onto the bed, the exact place where I gave birth to Bella. Suddenly, it seemed as though I was reliving the past. My family stood off to the side, Aria in her daddy’s arms, and I knew by the looks on their faces that something was wrong. I’ve seen these looks before, right after Bella was born, but I knew it was worse this time. The bleeding started and my placenta wasn’t coming out. My mind began to get foggy and I don’t remember the details very well. I know there was a lot of blood. My placenta needed to come out before they could give me medication to stop the bleeding. After many failed attempts to push the placenta out, our midwife realized it was stuck. A part of it would not detach from my uterus. I remember her talking about sedating me so she could manually extract it, or giving me medication for pain, but I didn’t want to be medicated. Our midwife decided to see what I could tolerate. She was inside of me up to her elbow and I have no idea how I managed to allow her to do that without being medicated, but she was able to pull the placenta out. Apparently I have an incredibly high pain tolerance. Once the placenta was out, I was given a lot of medication to stop the bleeding, but I was scared when I kept feeling large gushes of blood pour out of me. My blood pressure dropped to 50/32 and I could feel myself fading; my sight was cloudy, the room was spinning and felt nauseous. I feared that if the cloud took over that I would die, so I fought hard to not float away. This was when I asked Bella for help. Our midwife kept working my uterus (with her hands over my abdomen) and finally the bleeding was slowing down. My blood pressure slowly started to rise. I was safe. I was told that I shouldn’t have remained conscious when my blood pressure was so low. I was mentally prepared for the probability of needing a blood transfusion. I lost 2 litres of blood and the transfusion would help me recover faster. When my bloodwork came back the next day, my hemoglobin was incredibly only down to 88. I didn’t need the blood transfusion! It took me a while to get back on my feet after Aria was born and I was on bed rest for 2 weeks. I also hemorrhaged after Bella was born, but it wasn’t nearly as severe. We had discussed the possibility of a hemorrhage when we reviewed my birth plan, but I never expected it to happen again. I am thankful we left for the hospital when we did. If it weren’t for the snow storm, I would have insisted on staying home longer. Chances are we would have left for the hospital when my sister and niece did as that was when my contractions were getting stronger and were real contractions (labour had started). I can’t help but wonder if we would have made it to the hospital on time. I would like to thank our incredible midwives for the level of care they provided. I felt safe in their care. They were quick and efficient and I couldn’t have been in better hands. Thank you!!! Click here to keep in touch.